In addition to our beautifully crafted, high quality pieces of armour, we also offer a wide range of costumes that will help to enhance the authentic look and feel of your armour. 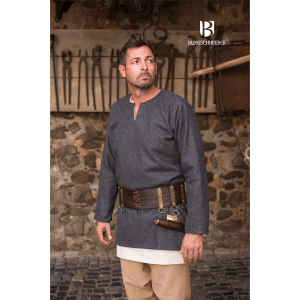 Catering for a wide range of male and female Larp, Cosplay, screen, and stage characters, our costumes will help you create authentic, comfortable, and visually striking outfits that are suitable for a huge range of Viking, Norse, Medieval, Middle Ages, and Renaissance inspired roles. a film, TV show, or theatre production, or you’re attending a Larp or Cosplay event, you’ll always look and feel the part. From Dresses and Gowns, Ladies’ Coats and Cloaks, and Men’s Shirts and Tunics, through to Ladies’ and Men’s Trousers, Men’s Coats, Cloaks, and Robes, Hats and Hoods, Bags, and General Extras, we’ve got everything you need to complete your look, regardless of what role or character you’re playing. 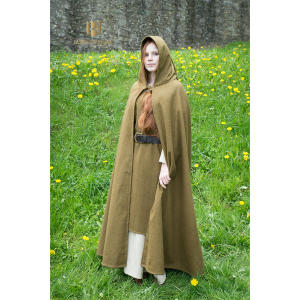 And, of course, we’re constantly looking for new and exciting ways to expand our range of Larp, Cosplay, and SCA costumes, seeking out the very best suppliers from across the globe. We are committed to delivering the highest level of quality, comfort, and authenticity, so we only supply costumes, clothing, and accessories that have been expertly crafted using the finest, traditional materials and employing incredible attention to detail. 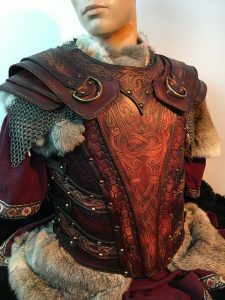 As long as you properly maintain your Larp, Cosplay, and SCA costumes, they should last for many years to come – looking and feeling as special as the first time you put them on. Here at Black Raven Armoury, we specialise in offering an extraordinary range of Viking, Norse, Medieval, Middle Ages, and Renaissance inspired costumes andaccessories that will allow you to experience incredible quality, expert craftsmanship, and outstanding attention to detail. to pointing you in the right direction for all of your Larp costume needs.